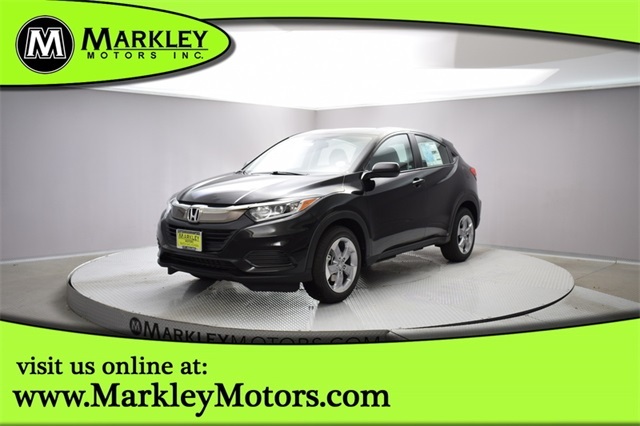 Presenting our 2019 Honda HR-V LX AWD, that's eye-catching in Crystal Black Pearl! Powered by a 1.8 Liter 4 Cylinder that generates 138hp is paired with a seamless CVT to provide a confident ride. You'll find that our All Wheel Drive HR-V LX is fun to drive and feels solid and sporty with a comfortable ride and excellent visibility. Ready for any adventure you can imagine, our HR-V LX serves up sleek lines accented by its great-looking alloy wheels and LED brake lights. Open the door of our HR-V LX; you'll notice the expressive style continues into the cabin which has been carefully designed with keen attention to detail. Take note of the remote entry, multi-angle rearview camera, and 60/40 split 2nd-row seat for maximum versatility. You'll be able to maintain that ever-important connection thanks to Bluetooth HandsFree Link, streaming audio, our color LCD screen, USB audio interface, and other convenient amenities. 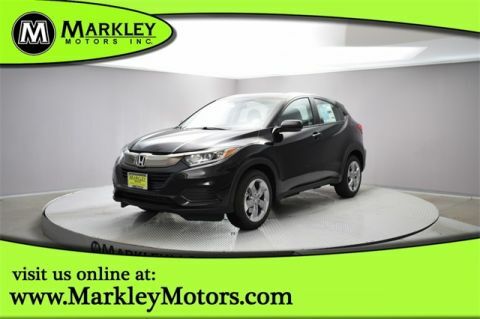 When it comes to safety, our Honda HR-V LX received top scores so you can feel confident knowing you've got an advanced anti-lock braking system, stability/traction control, a multitude of airbags, as well as hill-start assist keeping you out of harm's way. Add an extra touch of style and driving pleasure to your day with this all-around fantastic HR-V! Print this page and call us Now... We Know You Will Enjoy Your Test Drive Towards Ownership! We Value You As A Customer And Look Forward To Showing You What The MARKLEY DIFFERENCE Is All About. We've Been In Business For 82 Years For A Reason! Call Us Now At MARKLEY MOTORS At 1-970-226-2213.